Each Council On Aging is issued a charter by the secretary of state and these applications are approved by the Governor's Office of Elderly Affairs. Each Council On Aging shall collect facts and statistics and make special studies of conditions pertaining to the employment, financial status, recreation, social adjustments, mental and physical health or other conditions affecting the welfare of the aging people in the parish. MEMBERSHIP: Membership in the Council On Aging shall be open, without restriction, to residents of the parish who have reached the age of majority. Membership applications shall be made available at the Council On Aging office. Membership fees shall not be charged. Each Council On Aging shall conduct an annual membership drive. The membership rolls shall be closed two weeks prior to the annual meeting. A current list of the general membership shall be maintained at the Council On Aging office. 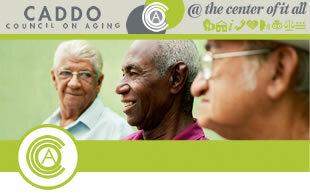 Jackson Council on Aging, Inc.
Madison Council on Aging, Inc.
West Carroll Council on Aging, Inc.